Have you ever noticed that when a big box store, like Walmart or Target, opens up, they build a whole new big huge building? And when one of the stores closes, that huge building, which looks like a big box, is left behind, empty and sad. A lot of those buildings get torn down which seems like a waste. But sometimes people turn it into something more useful, like a library, a church, a rec center, or even a museum! This book — Big Box Reuse by Julia Christensen — shows a whole bunch of cool ways the big boxes have been reused. 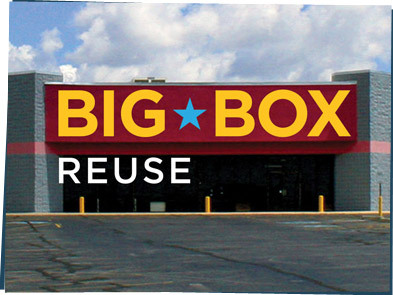 Check it out or look at some of the buildings on the Big Box Reuse Web site.